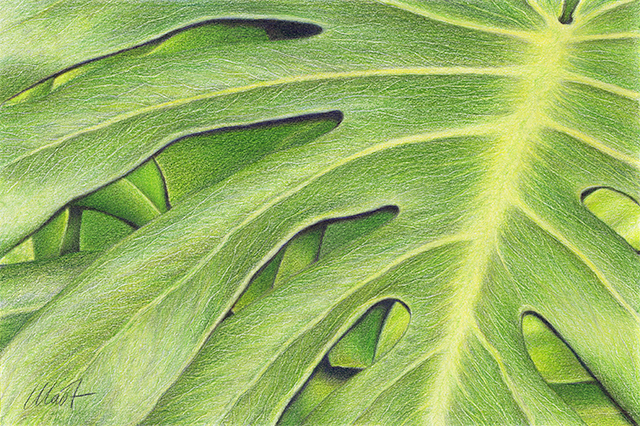 “Fortitude” is an ode to philodendron that grows in our patio. It froze off at least twice, was chopped out completely, and keeps growing back. At this point I am fully convinced that nothing can stop it. This plant was here when we moved in and clearly considers the patio its rightful domain.